The Cycladic islands are a special chain of islands in Greece known for their gorgeous whitewashed cubist architecture, pristine beaches and beautiful villages. They attract all kinds of travelers seeking to explore the richness of the Greek islands. 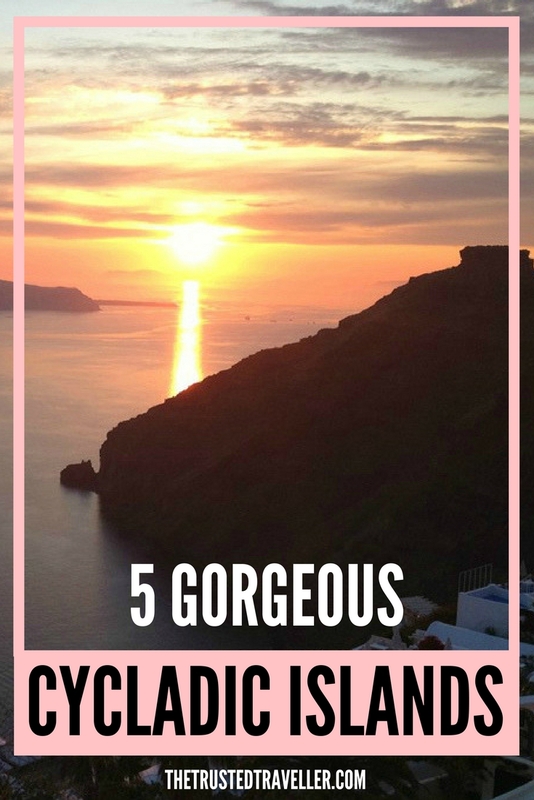 Here are the five gorgeous Cycladic islands that should be on your Greek island bucket list. Santorini is one of the most visited islands in Greece and for good reason. There’s no place in the world like it. A volcanic eruption formed its crescent shape thousands of years ago. Today, a whitewashed village crowns the island’s steep cliffs and the views of the submerged caldera below is truly stunning. The top things to do include checking out the archaeological site of Akrotiri, known as the Greek Pompeii. Santorini is known for its award-winning Greek wines. Unlike other islands, Santorini isn’t known for idyllic beaches. However, it’s colourful beaches make up for it. There’s no place quite like the Red Beach, for example. 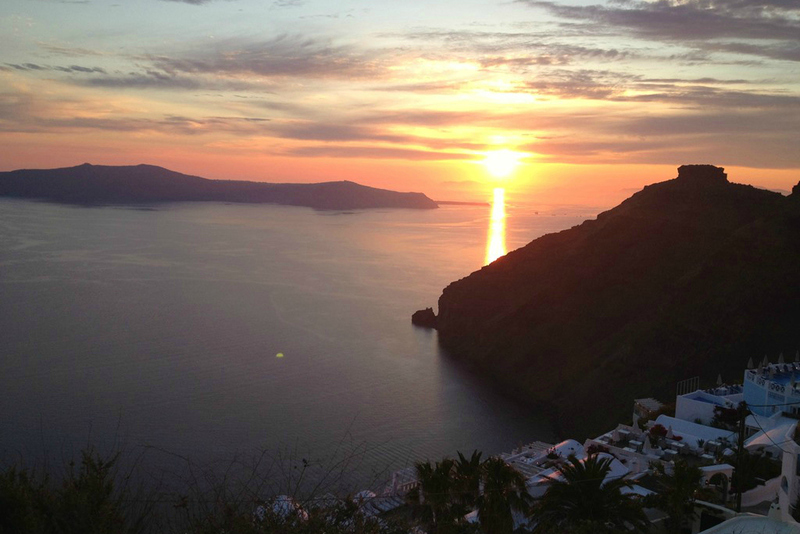 If you have never been to the Greek islands, Santorini is the first place to visit. Mykonos is one of the most famous Cycladic islands, known for its cosmopolitan nightlife, beach parties, famous superstar sightings and luxurious villas and hotels. It’s the destination of the jet set and where Greece’s finest restaurants feature the talents of celebrity chefs. Mykonos has a low-key side as well. There is a family-run winery called Vioma and family-run tavernas. There are beaches for every kind of beach goer too. Head to Psarou which attracts celebrities, mega yachts and pricey loungers, Paradise Beach for its lively and wild beach parties or relax at quiet Agios Stefanos which is ideal for families. 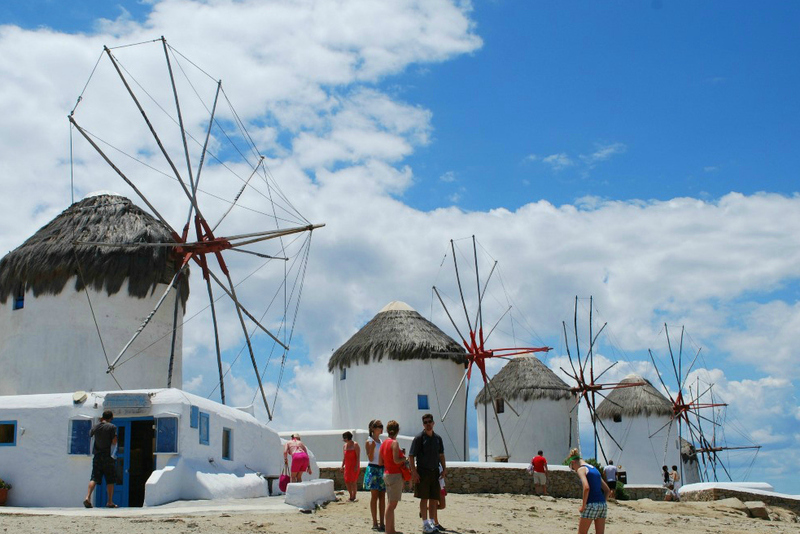 Top things to do include exploring Mykonos Town, the incredibly charming and historic whitewashed main town of the island. Pop in the shops, cafes, restaurants and tiny churches. Stop by the windmills for a photo and the browse through the small museums here. 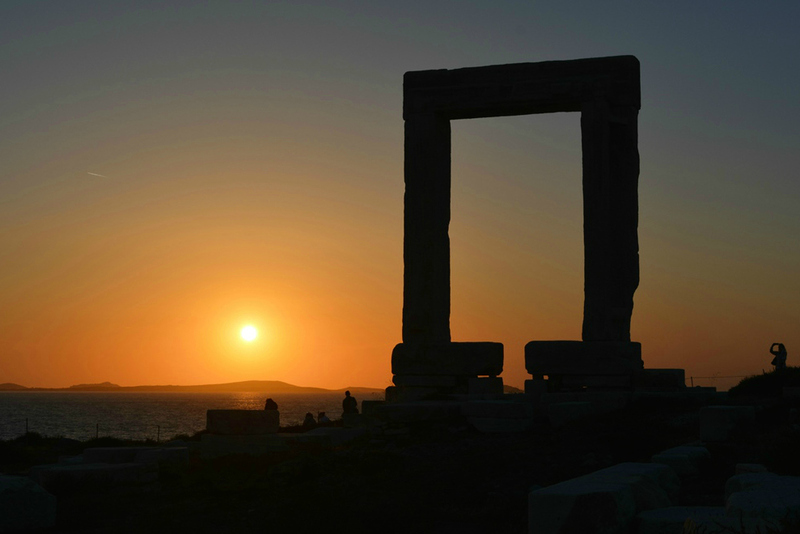 Take a day trip to nearby Delos, the sacred uninhabited island of the ancients where fantastic ruins will bring you back to the amazing time of ancient Greece. Naxos is a special destination in the Cycladic islands, the largest one with a uniquely lush landscape, fantastic little villages to explore and an appetizing food culture. The island’s old town was one of the most fun Greek island towns I have explored. Why? It is full of historic monuments and picturesque twisting whitewashed lanes, you just want to take a picture of every corner. The Venetian citadel is just fantastic and hosts a festival every year. The Portara is the main site to see which you will notice easily when your ferry pulls into harbor. It is a colossal, 2,500-year-old marble door frame sits on its own islet. A must-see sight especially at sunset. I highly recommend visiting Naxos’ gorgeous villages including Chalki. The beaches here are for the beach lover, long and sandy stretches with pristine waters. While on the island, try the local food and eat at the harbour at Popi’s Grill. Be sure to sample the locally made Greek spirit called kitron, made with a citrus fruit. 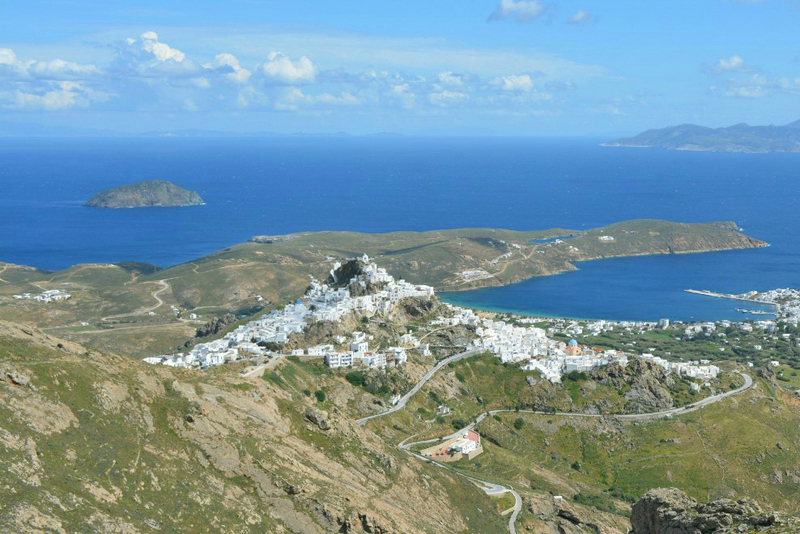 One of the Cycladic islands perfect for those seeking a calm, scenic and traditional atmosphere is Serifos. It’s also home to the most beautiful untouched beaches in the country. Head to Psilli Ammos, Vagia and Ganema and Agios Sostis. It’s charm also comes from its nature, a rocky rugged island known for its historic mining sites. Hike through Mega Livadi, and walk past abandoned and rusted mining carts, train tracks and even bridges. The main town, called Hora, is one of the most unique in the Cycladic islands. It was built on a rocky hill. A fifteen-minute walk up the whitewashed lanes brings you the what’s left from the walls of a 15th century Venetian castle and breathtaking sea views that stretch to neighboring islands. 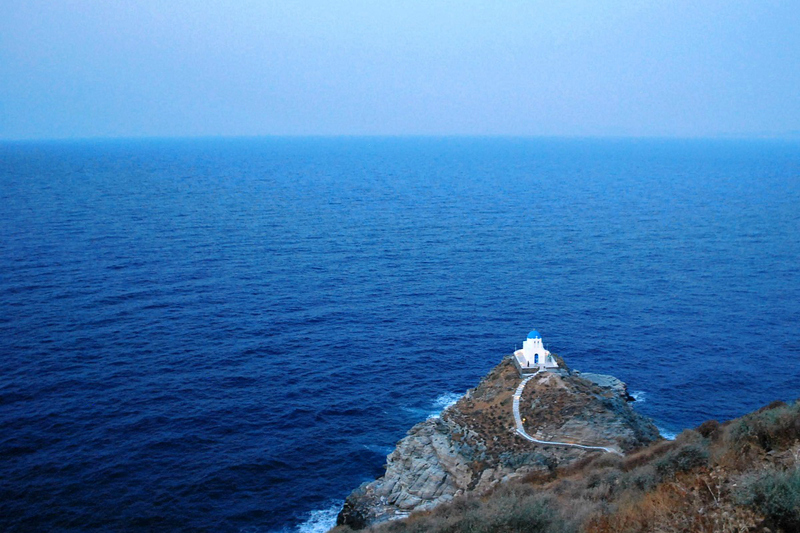 Sifnos, like neighboring Serifos, has a very relaxing atmosphere and an off-the-beaten path kind of feel. The villages are the main highlight to the island. Explore the towns of Apollonia, Artemonas and the old capital called Kastro. All of them exude the old-world charm of the island chain. Also check out Vathy and Kamares. Sifnos has a lively but local kind of nightlife with lovely cafes and cocktail bars that are perfect to relax during the summer evenings. It is also known for its lovely traditional tavernas that line the villages and several of the beaches. The Church of the Seven Martyrs is a must photo opportunity. Also visit the Monastery of Panagia Chrissopigi for its equally stunning location. Native New Yorker Marissa Tejada is an author, travel writer and freelance journalist living in Athens, Greece and publishes her blog called Travel Greece, Travel Europe. Expat life also inspired her acclaimed romantic comedy novel Chasing Athens which is available on Amazon. Her favorite Cycladic island is Serifos, but she’s still in love with every Greek island beach. You can find her on Instagram, Pinterest, Twitter and Facebook. 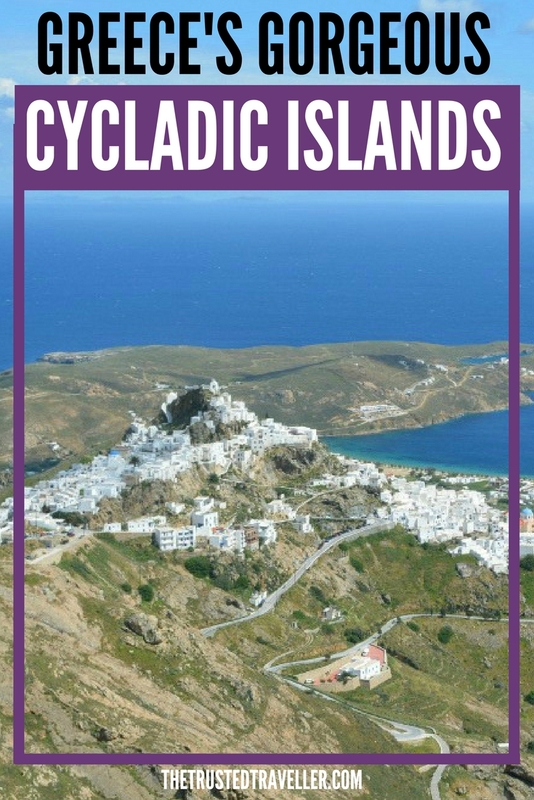 Which of these Cycladic Islands are you interested to visit and why? What a great piece! The Cycladic islands in Greece are, indeed, spectacular and this piece highlights some of the best islands. Great blog and beautiful islands! Thanks for letting me know about them. Just returned from Greece and everything you’ve posted here rings true. Such a gorgeous country with endless amounts of exploring in the islands! I’ll need to go back ASAP! I need to go back too! This is great information! I’m wondering more about the distance/length of time it take to get from one to the other. If I only have a week in the Cycladic islands, is it worth it to island hop, or should I stick to Santorini and Mykonos? Thank you! I would recommend with just a week, splitting your time between 2 or 3 islands, otherwise you spend too much of your time moving around.